This descriptive paragraph tells of a third-grader's experience at a restaurant. One day I went to a cool restrant. I saw lots of people. I could hear music from a jute box. The place was coazy and it had colored lights. I could smell chicken tenders and french fries as soon as I went in the door. That’s what I had for lunch. It was delishus. A Cool Restrant by Thoughtful Learning is licensed under a Creative Commons Attribution-NonCommercial-ShareAlike 4.0 International License. 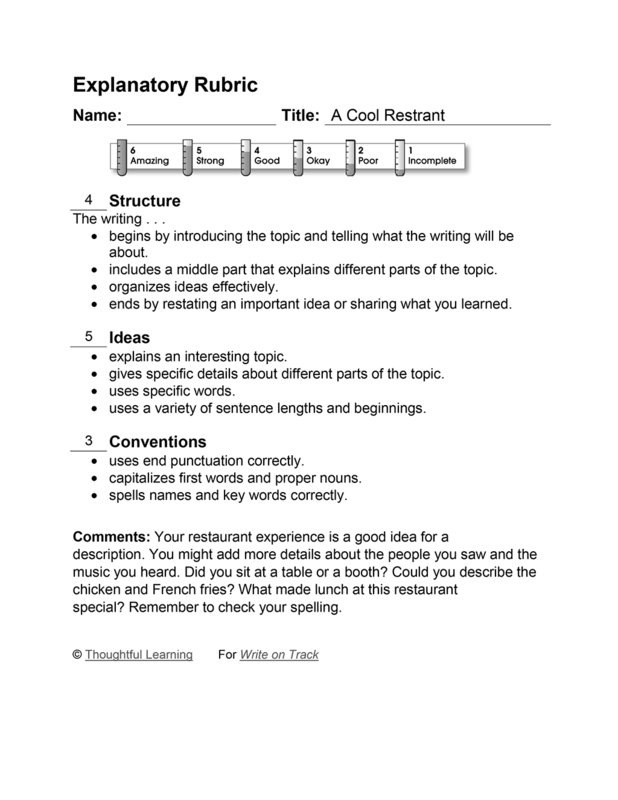 Based on a work at k12.thoughtfullearning.com/assessmentmodels/cool-restrant.